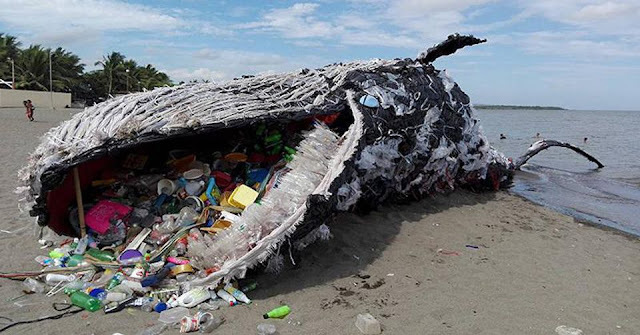 You've probably seen the viral video of the sea turtle with a straw up its nostril, or the image of a washed up whale with thousands of plastic in its stomach. Plastic pollution is real, and it is affecting not just on our environment, but also directly on our health. Here's an interesting fact: our oceans are actually the largest "carbon sink" - some 93% of carbon dioxide is stored in algae, vegetation and coral under the sea. Without the ocean, our earth will be too hot for us to survive. Besides that, the ocean is a huge source of food for us. Plastic bags have been found in fishes. 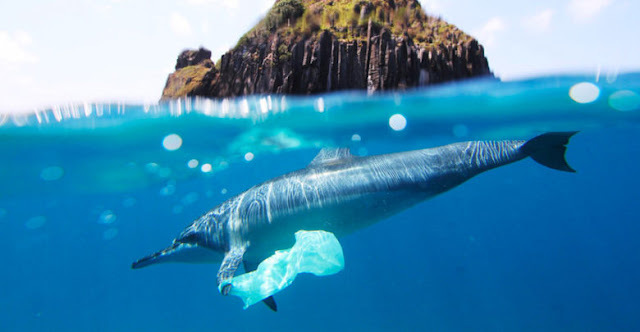 Plankton, which is at the bottom of the food chain, have been filmed eating plastic. On average, a predator will consume ten times its body weight. Therefore, by the time that fish ends up at the top of the food chain, those little hazardous chemicals like BPA and phthalates is now magnified probably a thousand times when you consume that wild salmon sashimi! Although there haven't been any conclusive studies between plastics and human health, one study in mice found a link between BPA exposure and an increased risk of type 2 diabetes and insulin resistance, while others have explored a potential relationship between BPA exposure and coronary artery disease due to potential alterations in cardiac function over a long period of time (Source). What can we do to mitigate all these effects? 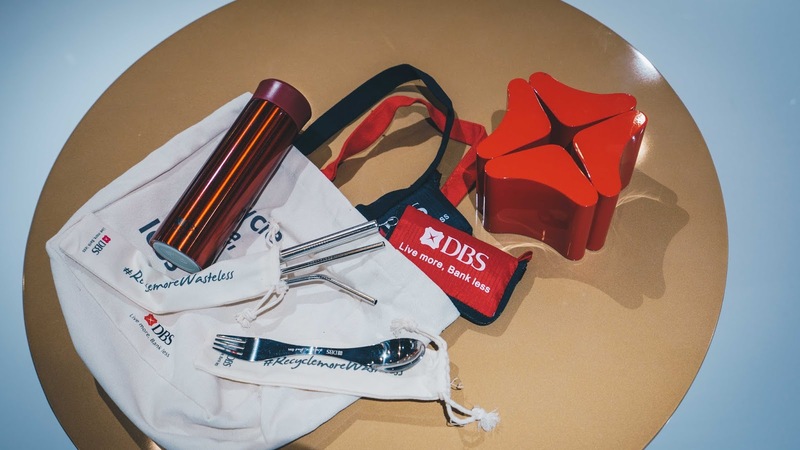 A multinational banking corporation with headquarters in Singapore, DBS is the first in Singapore's banking sector to achieve the BCA Green Mark for Retail certification. 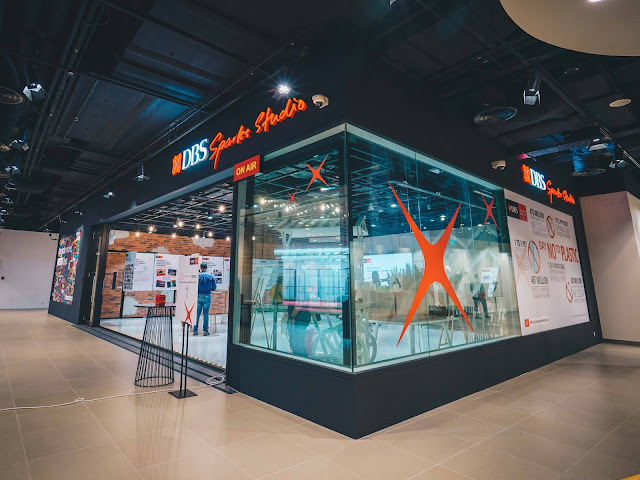 This is only awarded to buildings which met the criteria for its sustainable design and also adopted energy-saving technologies. Reaching out to the public and other social enterprises, they actively seek to reduce our environmental footprint. It's a spoon! No, it's a fork! No, it's a spork! In a harmonious marriage between a fork and a spoon, the spork was thus born. Hate the hassle of washing your own utensils? The spork serves as a fork on one end and a spoon on the other. With just one utensil, you'll be able to get the best of both worlds. Saving time AND water. Sign us up! It's common knowledge that we should drink at least 8 cups of water a day. They probably didn't mention that you should drink from glasses, not plastic bottles. 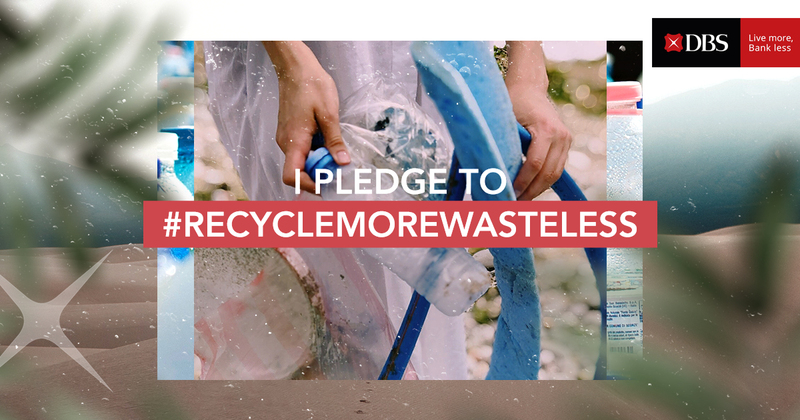 Let's see: On average, a plastic bottle contains 500ml of water. Multiply that by 4 (which makes up your daily water intake of 2 litres), and you'll end up with four empty plastic bottles at the end of the day. Think it's not a lot? That's 28 plastic bottles thrown away every week! 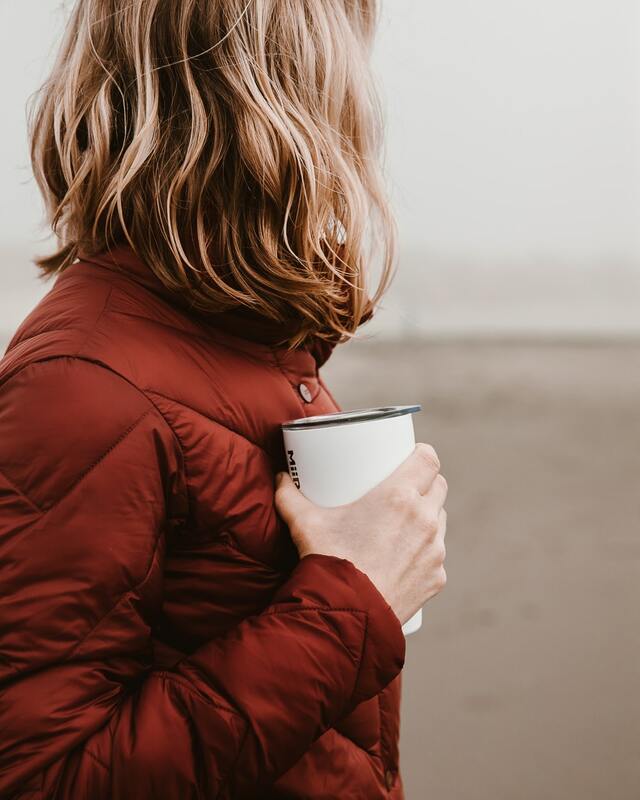 Purchase a good quality tumbler that is able to stand up to your steaming mug of morning coffee. Consider taking it a step further by opting for stainless steel to ensure your tumbler remains rust-proof. So, avoid being a walking plastic landfill by choosing metal over plastic cups, which contains harmful micro-plastics. You'll not only save the earth, but your own health as well. Metal straws have been making their rounds on social media, and it's time we took note. The recycling symbol that you see recycling bins comes with a big asterisk. There is a common misconception that most materials can be recycled, such as glass, paper and plastic. I'm going to have to stop you there. Some paper products and almost all plastics cannot be recycled because of its unstable chemical structure, and will just end up in the landfill. What you can recycle, please do recycle! I'm going to borrow a quote from Armstrong here: one small step for a man, one giant leap for mankind. Every effort, however little, counts towards creating a sustainable environment. 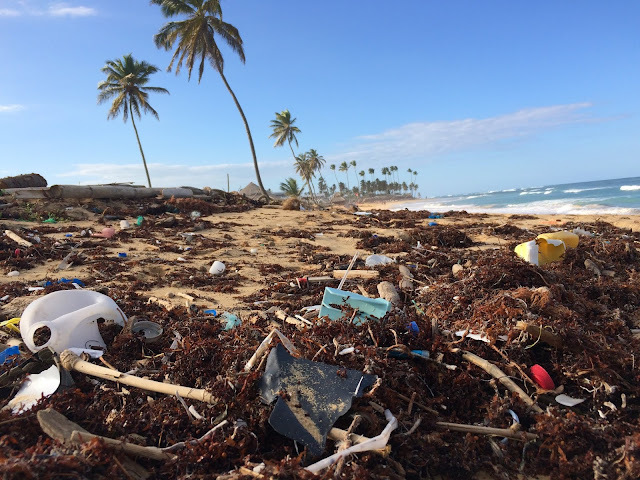 If you ban plastics from your life, chances are that you're already drastically reducing the amount of micro-plastics consumed. I'm the kind of person to say that I'm going to use less plastic and forget about it the next day. Are you one of them too? If so, you can reinforce your commitment here by pledging to recycle more and waste less. The earth and your health will thank you! 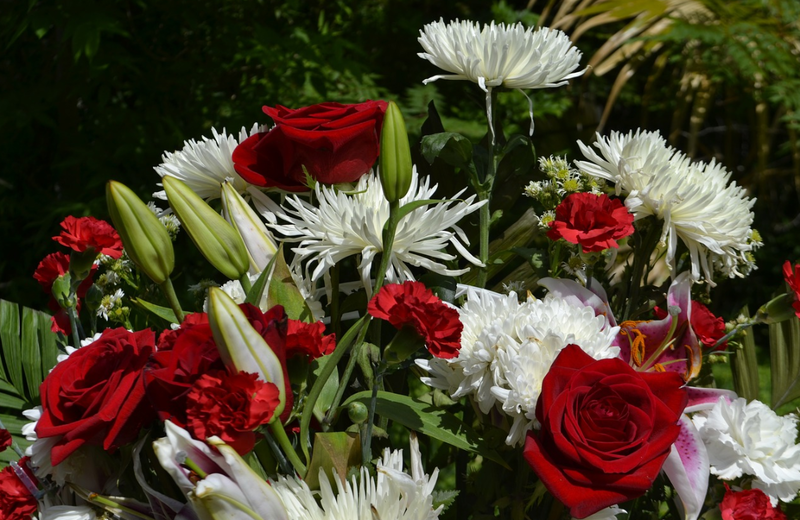 It can be a comforting gesture to send funeral flowers when someone you know passed away. Knowing that death could possibly happen to anyone, it is best that you are aware of the importance of funeral flowers. It symbolises sympathy and adds a special touch to the memorial. You can use different flowers that you can send to a funeral however people normally choose flowers in light colours. How to Make Your Own Funeral Flower Arrangements? Funeral flowers are available in different arrangements. If you will try to visit a website of an online florist, then you can find various arrangements that are presented in different styles and sizes. If you find it expensive to send funeral flowers, then you can consider making your own funeral flower arrangement. Besides, you can look for images or watch videos online on how you can create one while obtaining quality flowers from the best flower shop. Listed below are the popular designs for funeral flowers. Funeral Cross – This funeral arrangement is placed in the funeral area or memorial. You will need plastic containers that will serve as the base of the funeral cross. With the use of glue, you can be able to secure the containers when putting them together. Fill the center with white flowers or try to add different colours of flowers to create an impact. 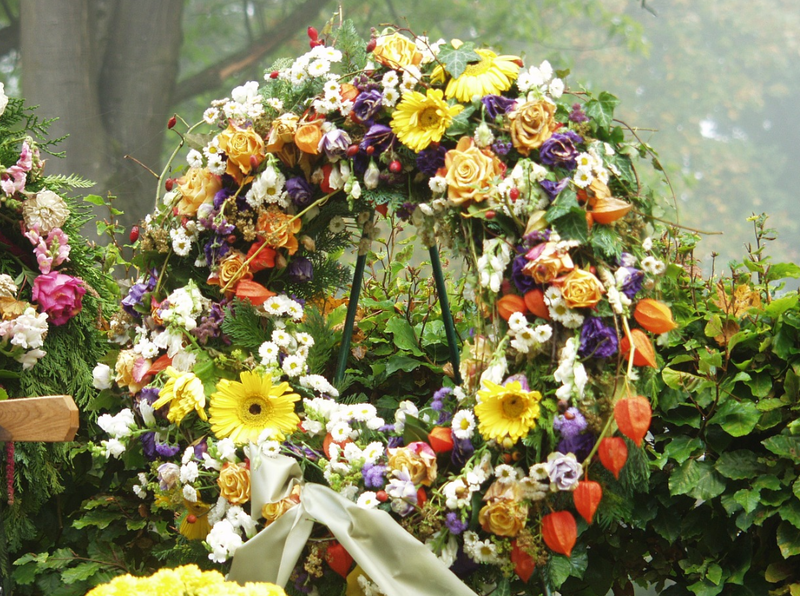 Round Condolence Wreath – There are various ways on how wreaths are displayed like putting them on the casket. You need to prepare round floral foam where you will arrange the flowers. Make sure that you can cover the entire foam by adding filler flowers. Keep your flowers hydrated by soaking the foam. Casket Spray – This funeral arrangement is normally placed on top of the casket. You have to look for a triangular base. With a wire or tape, you have to secure two pieces of floral foam in order to add height to the arrangement. Stick the foam to the container using glue. Cover all the edges with broad leaves. Try to fill in gaps with smaller foliage. Put the focal flowers by starting at the center going from left to right. Make the arrangement attractive by using larger flowers. It will not be that difficult to make a funeral flower arrangement knowing that you can easily find the materials you need. This can be more meaningful especially if the deceased is someone really close to your heart.